An excellent choice for applications requiring high positional accuracy and dynamic performance. 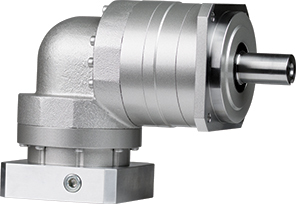 The EVB is a ≤4 arc-min gearbox that offers a right angle design with a through hole mounting style, making it compact and easy to assemble onto various equipment. This product is an ideal fit for various belt drive and actuator applications found throughout the packaging and assembly cell automation markets.